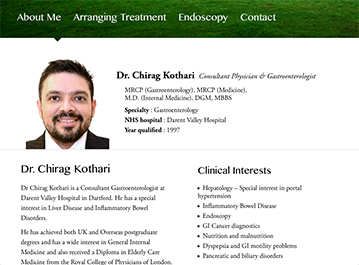 Dr. Chirag Kothari, a gastroenterologist, came to us to build a small website to showcase his practice and medical procedures. 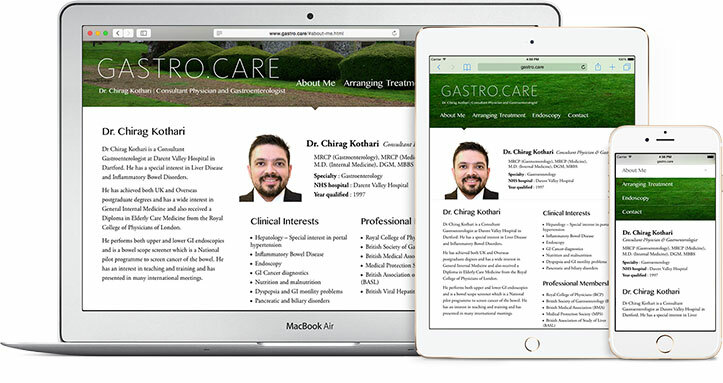 We worked with him to first plan the content and then build a website that would meet his requirements and be simple to navigate on a Desktop, Laptop, Tablet or Smartphone. The content had nine different sections. We sat with the client to group the information together into four simple and easy to understand links. We chose our words very carefully and resisted using clichés like ‘services’ or ‘profile’. 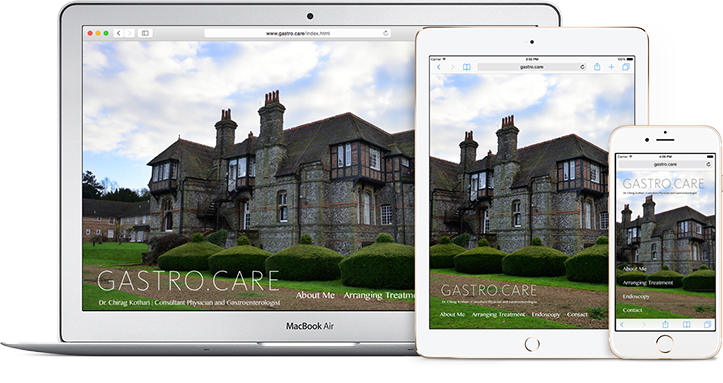 The hospital where Dr. Chirag practices is in a beautiful location on the outskirts of London. We wanted to portray this location to make the patients feel more at ease before they even make a visit to the hospital. 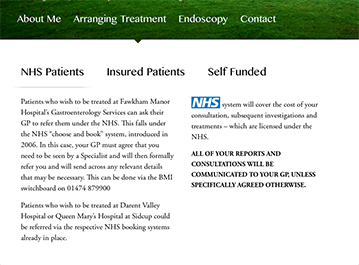 We gave headings to page sections making it easier for the visitor to quickly go through the relevant writeup. 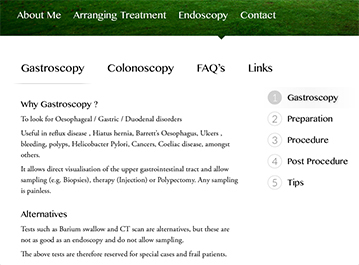 Content links were given for the “Endoscopy” section (on the right) to avoid a long vertical scroll.